The first story is “Shades of Grey”, in which Esser Grey confronts the idea of immortality and finds it not really to his liking. His reasons for not liking it involve some intriguing of character development, and the consequences should be ruinous for him but mostly end up being so for other people around him instead. I don’t think you can like Grey, exactly, but his story is an excellent introduction to the issues of power as Biancotti imagines them. And we are also introduced to the wonderful Detective Palmer, who keeps popping up throughout the rest of the sequence. Like in the second story. “Palming the Lady” might be my favourite of the set. Not that it’s a pleasant story, by any stretch of the imagination. 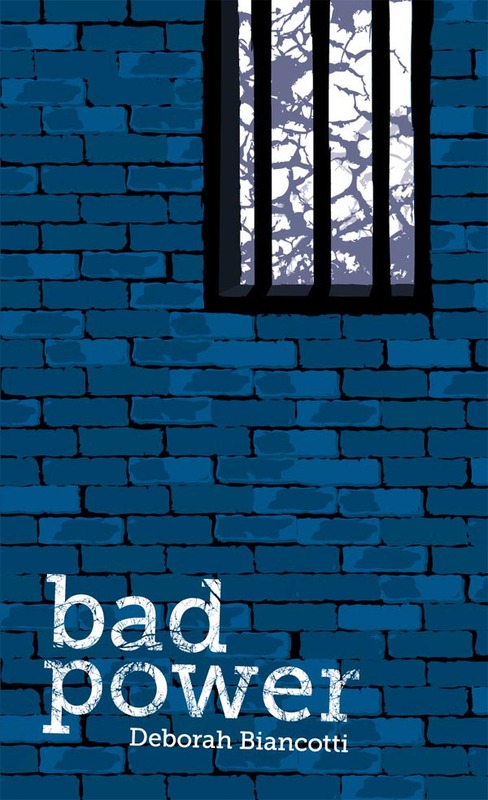 There’s a somewhat spoilt rich boy, son of a famous father, who claims to being stalked by a homeless woman; Detective Palmer, newly in the bad books at work, is assigned to look into it. Which means talking to said homeless woman at much closer quarters than she is comfortable with, and finding out more information than she is comfortable with. The “stalker” is confronting on a number of levels: for her appearance, and her (lack of) status, and her talent. And for the conjunction, too, of a remarkable talent in an unremarkable woman. I did not like the rich boy, Matthew, but fortunately most of the story is actually about Palmer, who shows delightful tenacity as well as an endearing capacity for not understanding things immediately. Also, a weary love of humanity. My dislike of Matthew made me slightly wary of “Web of Lies,” the third story, because it features him again. Fortunately, this is quite a different story, and quite a different Matthew too. It begins at his father’s funeral an unspecified amount of time after the second story, and – appropriately – features his mother to a much greater extent than “Palming the Lady.” There, Palmer met her once and dismissed her as having “a prescription problem.” This story delves into her life and shows it to be about far more than simply a bored housewife and overuse of Valium. This one creeped me out quite a lot; somewhat sinister mothers will do that. Matthew is theoretically the centre of the story, with his problems in understanding the power that he is coming into, but the mother is where my interest really lay. The fourth story is quite different, and it took me a while – in fact, until reading the next story – before I really understood how “Bad Power” really fit into the suite. I think it works overall, but certainly when I first started it I was a bit confused. Partly this is the difference in narrative voice: where the first three are third-person, modern Australia, and set in wealthy enough areas, this one is first-person, somewhere ill-defined, and very definitely not well-educated. It’s an unpleasant story (again). In this case the unpleasantness comes about because of other people’s reactions to our narrator’s power, which haven’t been explored on a medium-to-large scale in any of the other stories. And it definitely provides interesting context about how attitudes towards “power” have changed, as well as attitudes towards individuals and, maybe, maybe social responsibility? After I got into the rhythm of the narrative style this was a really good story. Exploding the Twelve Planets paradigm, this collection has FIVE stories, finishing off with “Cross That Bridge.” In many ways it ties together aspects of all four of the previous stories in nice, but not too neat, ways – ways that still leave me hungering for more story set in this world, for sure. We’re back with police work, this time with a Detective Ponti at the helm, looking for a missing child. This is probably the most hopeful of all of the stories, where power is used largely for good – or at least mostly non-destructive – purposes, and where indeed an actual purpose for the powers exhibited so far can be imagined, and undertaken. As should be obvious, all of these stories tie together, and I can see the reasoning behind the sequencing. However, I think you could probably read them in any order (hmm, except perhaps #2 and 3, which should be read in sequence) and enjoy the exploration of ideas they present. You could also, crucially, enjoy them completely independently – although I would imagine that that would leave you wanting more, to an even greater extent than I do at the moment. This collection really works.